Our today’s post is about white labeling, a powerful strategy to increase distribution while staying concentrated on marketing the product rather than worrying about building it. Many software companies including website builders use white labeling as an important component of their business strategy, because it’s beneficial to both sides: producers get more customers without extra marketing investments, while resellers earn commissions without having to worry about the product they sell. We’ve done some research on this topic to bring you a list of website builders that either offer a white label solution or interesting alternatives to it. Whether you’re an independent designer, a srtartup, or an established company, we’ve got you covered. 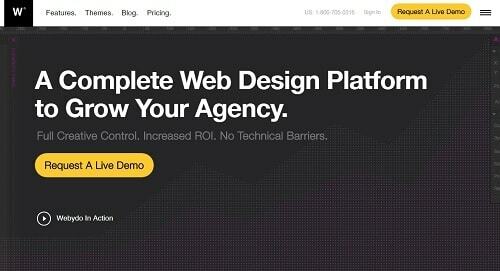 First in our review and, probably, the most flexible white label solution, IM Creator is aiming at enterprising web designers, web design agencies, resellers and startups. With the site builder’s white label solution you get full control on all elements of the editor. This includes pricing, languages (users can add any new language that they need), domain registration, templates, creating users, editing all sites and more. You start with a very small initial investment (a $350 yearly payment) and you can create and publish as many sites as you want. Also all sites get unlimited hosting for free no matter how much traffic they get. There are also tiers relevant to agencies and hosting companies that gives them the ability to host the sites on their servers and charge users for that as well. If you need those and more options like cPanel integration, own domains API and other developers features, IM Creator offers two White Label Packages: ‘Host It Yourself‘ and ‘Servers Control‘. In addition to ‘Standard White Label‘ you (or your company) receive an unlimited potential to manage website builder’s functional under your brand. The cost of those packs are $2500 and $25000 respectively. Helpful Tip: you can reduce ‘Standard White Label’ cost by 20% using promocode you can find at IM Creator website on White Label page. Since June 2017 Ucraft has launched its white label program. Its offer is catchy enough. If you’re a small design studio or freelancer who operates with dozens of simple or near-simple websites per year, then you may use ‘Standard Package’ solutions, which costs $5600/year. For this cost you will receive: own branding, Google cloud hosting, ability to create unlimited websites. This white label program also comes with own admin panel,dedicated manager, and your own pricing model. This is a really unique feature for such whitelabel cost. The second Ucraft’s whitelabel plan – ‘Self Hosted Platform’ ($22k/year) suits the best for large web studios, which create hundreds of websites yearly. In addition to previous options you’ll get an opportunity to host websites on your hosting platform, create your own referral program and many other options. Own Brand Name. If you’re a web-designer, you can create websites without Ucraft branding. For a web-design or a hosting commpany there’s an option to use Ucarft’s editor interface with its own logo. Own Pricing Model. You can bill your clients with the pricing model you choose. Sale campaigns and discount promo-codes are also included. Own Referral Program. You can promote your branded website builder through the referral or affiliate programs. You can set up refferal fee as you want. Own Templates. Design of new templates will make your branded website builder completely unique. Own Hosting. Setting up your branded website builder you can choose between hosting on Ucraft’s servers, Google Cloud or your own servers host. 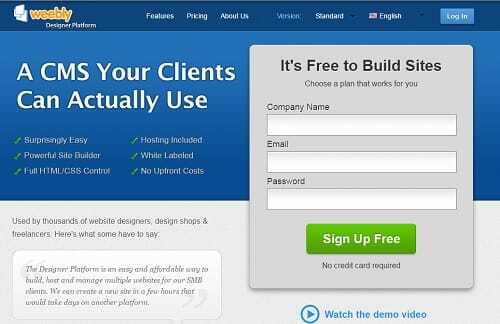 It’s useful for the hosting providers who use a website builders service for their clients. For more details see the Ucraft’s white label program page. uKit has two partnership programs to target both large-scale businesses looking to expand into new markets and independent freelancers and design studios building websites for clients. The first option is to partner through their white label program, which allows for the complete customization of the website builder under your brand: logo, domain name, pricing, billing methods, and even your own templates. What sets uKit apart from competitors is a surprisingly high level of flexibility. There are no restrictions as to how far you can go adjusting the product to your requirements. For example, if you are a hosting company wishing to complement your range of services with a website builder, you’ll be able to fine-tune every aspect to achieve seamless results. Given a personal approach to every partner, there are no standard packages and upfront fees. The pricing varies depending on the integration solution and the estimated number of users. In order to join, write to support-en@ukit.com. The second option is to become a uKit affiliate. This program enables everyone who is involved in professional website building — webmasters, freelancers, web design studios, and owners of niche communities — to drive traffic to uKit and get paid. If you refer new users from your website to uKit website, they will compensate you for everyone who ends up making a purchase at uKit. The commission you’ll receive is 30% of all payments made by the referred user. For more details, visit this page. Become an affiliate to earn money on revenue generated from your site. Once you have created an affiliate account and got your unique links, you can direct new users from your site to Wix and get compensated for everyone who ends up upgrading to Premium. Become a Wix partner. As a Wix partner, you’ll create websites for your clients using the Wix system, and get paid not only for your design work by your clients, but also by Wix for each Premium site. 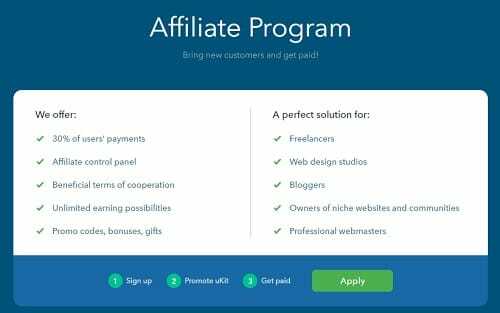 This plan works similar to their affiliate program. Weebly appears to aim at freelance web designers. Their small-scale white label solution also known as ‘Designer Platform’ provides users with a back end dashboard which can be fully rebranded. There are no upfront fees to get started. The platform allows designers to use the system’s WYSIWYG editor, templates and hosting free of charge. You are only charged once the site is published live to the client’s domain ($8-$25/mo) for each published website. Weebly allows designers to charge their clients higher than their fees to earn recurring income month after month. For more details about Weebly Designer Platform watch their introductory video. Webydo takes a similar approach. As a platform clearly aimed at web design agencies and independent designers it offers white labeling as an included feature in three plans: Pro, Team, and Agency. This feature allows you to fully rebrand the system. Designers can add their own logo to the login page, the dashboard, the DMS (design management system) and CMS. The DudaPro partner program provides resellers with an array of white labeled tools: a full version of the Duda editor; client login page and dashboard; site preview screens and more. All the URLs for these tools will be under the reseller’s domain name. The display of each element is customizable. Duda partners automatically get access to both DudaOne (responsive site builder) and DudaMobile (mobile-only site builder). 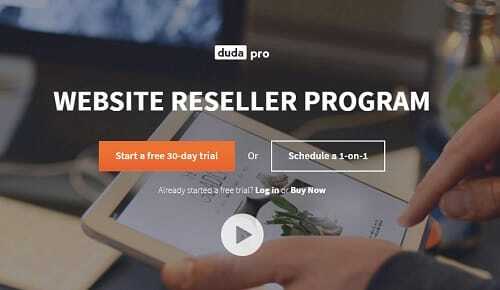 For partners, Duda offers wholesale pricing with additional discounts for most productive designers. Click here for more information on DudaPro. 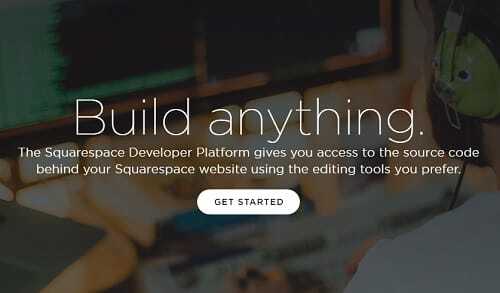 Though Squarespace has a separate system for advanced users called ‘Developer platform’ where you get full code control, there’s no white label version or affiliate program of Squarespace. All of these site builders offer amazing opportunities to help you grow your business. Have you had success as a reseller or partner? Share your story in the comments!